Evening on Castle Hill, Budapest early October 2003. I took the risk and went all the way up Castle Hill via the finicular. Don't want to spoil, but the finicular runs till the wee hours in the evening. 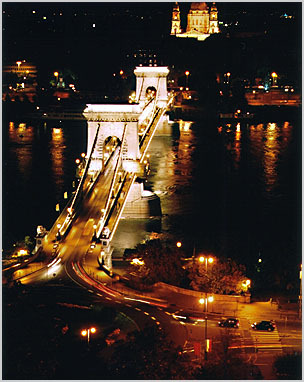 So if you need to take a few night shots of Budapest, this is the place to be. In the meantime, I would like to concentrate on posting fresh material and contributing to photo memes than posting more of my travel photos, since they do tend to get in the way of this site. For those that came from my travellogger site, for my travel stories, I do apologise sincerely if this isn't what you expected.